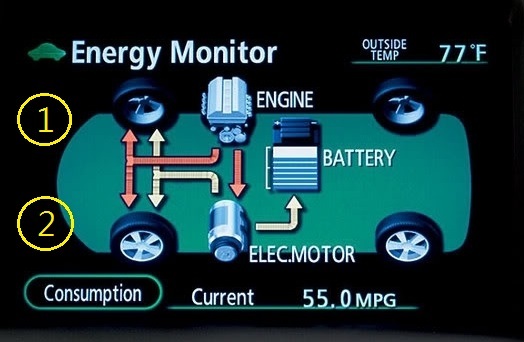 For 2004-2009 Toyota Prius, you can check the 12V battery's status in diagnostic mode. 4. if done properly, it should enter the diagnostic mode. Alternatively, you can press and hold the Display button, and then toggle the head lights ON/OFF 3 times instead. 2. a good battery should be around the 12.x range. If you turn on the vehicle, it should start charging the battery and the value would increase to 14.x.